Electronic Communications. 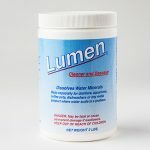 When you use any AquaNui Service, access this Site, or send e-mails to us, you are communicating with us electronically. You consent to receive communications from us electronically. We will communicate with you by e-mail or by posting notices on this Site or through the other AquaNui Services. You agree that all agreements, notices, disclosures and other communications that we provide to you electronically satisfy any legal requirement that such communications be in writing. Content Ownership; Copyright. All content included in or made available through any AquaNui Service, such as text, graphics, logos, button icons, images, audio clips, digital downloads, and data compilations is the property of AquaNui, its parent company, or its content suppliers and protected by United States and international copyright laws. The compilation of all content included in or made available through any AquaNui Service is the exclusive property of AquaNui (or its parent company) and protected by U.S. and international copyright laws. Trademarks. AquaNui and the AquaNui logo are trademarks either owned by AquaNui or licensed to AquaNui in the U.S. and other countries. 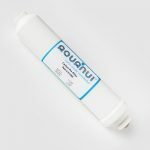 You must not use AquaNui’s trademarks in connection with any non-AquaNui product or service in any manner that is likely to cause confusion among customers, or in any manner that disparages or discredits AquaNui. 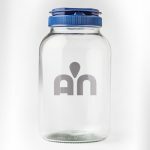 All other trademarks not owned by or licensed to AquaNui that appear in any AquaNui Service are the property of their respective owners, who may or may not be affiliated with, connected to, or sponsored by AquaNui. Patents. Portions of the AquaNui Services and the products accessible via the AquaNui Services operate under license of one or more patents that are owned by or licensed to AquaNui. Your Account. If you use any AquaNui Service, you are responsible for maintaining the confidentiality of your account and password and for restricting access to your computer, and you agree to accept responsibility for all activities that occur under your account or password. AquaNui does sell products for children, but it sells them to adults, who can purchase with a credit card or other permitted payment method. If you are under 18, you may use the AquaNui Services only with involvement of a parent or guardian. AquaNui may refuse service, terminate accounts, remove or edit content, or cancel orders in its sole discretion. consists of any other User Content that AquaNui in its sole discretion deems to be Unacceptable Content. Shipping Loss. All items purchased from AquaNui are shipped under a third-party shipment contract. This means that the risk of loss and title for such items pass to you upon our delivery to the carrier. Returns. AquaNui accepts returns only for products under warranty (if any), and only to the extent of and through the methods specified in any applicable limited warranty. All returns are subject to a 15% restocking fee. Product Descriptions. 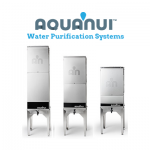 AquaNui attempts to be as accurate as possible, but AquaNui does not warrant that product descriptions or other content of any AquaNui Service is accurate, complete, reliable, current, or error-free. If a product offered by AquaNui itself is not as described, your sole remedy is to return it in unused condition. DISCLAIMER OF WARRANTIES. EXCEPT FOR ANY WRITTEN EXPRESS LIMITED WARRANTY THAT IS OFFERED WITH AN AQUANUI PRODUCT: (A) THE AQUANUI SERVICES, PRODUCTS, THE SITE, AND ALL INFORMATION, CONTENT, MATERIALS, SOFTWARE, AND OTHER SERVICES INCLUDED ON OR OTHERWISE MADE AVAILABLE TO YOU THROUGH THE SITE OR THE AQUANUI SERVICES ARE PROVIDED BY AQUANUI ON AN “AS IS” AND “AS AVAILABLE” BASIS; (B)YOUR USE OF THE AQUANUI SERVICES, ANY AQUANUI PRODUCTS, AND THE SITE IS AT YOUR SOLE RISK; (C) TO THE FULL EXTENT PERMITTED BY APPLICABLE LAW, AQUANUI AND ANY THIRD PARTY PROVIDERS EXPRESSLY DISCLAIM ALL WARRANTIES OF EVERY KIND, EXPRESS AND IMPLIED, INCLUDING BUT NOT LIMITED TO ALL WARRANTIES: (I) OF TITLE, NON-INFRINGEMENT, MERCHANTABILITY, FITNESS FOR A PARTICULAR PURPOSE, ACCURACY, COMPLETENESS, OR RELIABILITY; AND (II) THAT ACCESS TO THE SITE WILL BE UNINTERRUPTED OR THAT THERE WILL BE NO FAILURES, ERRORS OR OMISSIONS, OR LOSS OR SECURITY BREACH OF TRANSMITTED INFORMATION, OR THAT NO VIRUSES, WORMS, TROJAN HORSES, SPYWARE, ADWARE, PHISHING, OR OTHER MALICICIOUS SOFTWARE (MALWARE) WILL BE TRANSMITTED THROUGH ACCESS TO OR USE OF THE SITE. LIMITATION OF LIABILITY. AQUANUI IS NOT LIABLE FOR ANY DAMAGES OF ANY KIND ARISING FROM THE USE OF ANY AQUANUI SERVICE, PURCHASE OF ANY AQUANUI SERVICE OR PRODUCT, USE OF OR ACCESS TO THE SITE, OR FROM ANY INFORMATION, CONTENT, MATERIALS, PRODUCTS (INCLUDING SOFTWARE) OR OTHER SERVICES INCLUDED ON OR OTHERWISE MADE AVAILABLE TO YOU THROUGH ANY AQUANUI SERVICE, INCLUDING, BUT NOT LIMITED TO DIRECT, INDIRECT, SPECIAL, CONSEQUENTIAL, INCIDENTAL, PUNITIVE, AND CONSEQUENTIAL DAMAGES, OR FOR ANY LOST PROFITS OR REVENUES. INAPPLICABILITY. CERTAIN STATE LAWS DO NOT ALLOW LIMITATIONS ON IMPLIED WARRANTIES OR THE EXCLUSION OR LIMITATION OF CERTAIN DAMAGES. IF THESE LAWS APPLY TO YOU, SOME OR ALL OF THE ABOVE DISCLAIMERS, EXCLUSIONS, OR LIMITATIONS MAY NOT APPLY TO YOU, AND YOU MIGHT HAVE ADDITIONAL RIGHTS. Copyright Complaints. We respect the intellectual property rights of others and would never intentionally permit content on our Site that infringes those rights. If you believe that anything on our Site has been copied in a way that constitutes copyright infringement, please send us a notice to the address noted above or via e-mail to Admin@MyAquaNui.com that contains the following: (i) your signature (either physical or electronic); (ii) identification of the copyrighted work you believe to have been infringed or, if the claim involves multiple works, a representative list of those works; (iii) identification of the material you believe to be infringing in a manner that will allow us to locate that material; (iv) your contact information (including your name, postal address, telephone number and, e-mail address); (v) a statement that you have a good faith belief that the use of the copyrighted material is not authorized; (vi) a statement that the information in the written notice is accurate; and (vii) a statement, under penalty of perjury, that you are authorized to act on behalf of the copyright owner. Additional AquaNui Software Terms. The follow following additional terms apply to any software (including any updates or upgrades to the software and any related documentation) that we make available to you from time to time for your use in connection with AquaNui Services (the “AquaNui Software”). No Reverse Engineering. You must not directly or indirectly (or assist or encourage others to): copy, modify, distribute, transfer, reverse engineer, decompile, disassemble, create derivative works from, or otherwise tamper with, the AquaNui Software. Updates. AquaNui may, at its discretion, automatically update the AquaNui Software or offer manual updates at any time with or without notice to you.